This ARK model is equipped with a fully serrated, satin finished H1 steel blade. 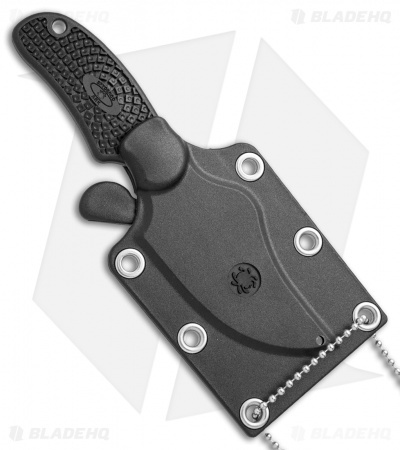 The ARK (Active Resistance Knife) was created by John Shirley (design) and Sam Owens (knifemaker) as a self-defense tool to be attached to a dog tag chain. It is intended to be worn 24-7 and every aspect of its design and makeup is congruent with that criterion. The ARK is a minimal design that benefits from a smaller footprint. The blade is made from H1 steel, which has characteristics of a premium steel without the propensity to rust when subjected to water, sweat, and the like. 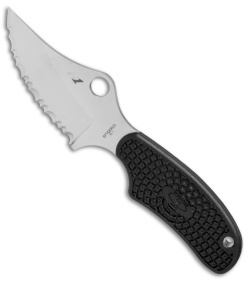 Textured FRN scales along with a deep index finger groove provide secure grip and a hole at the base of the handle opens up the option for lanyard attachment if desired. The ARK includes an injection-molded sheath.